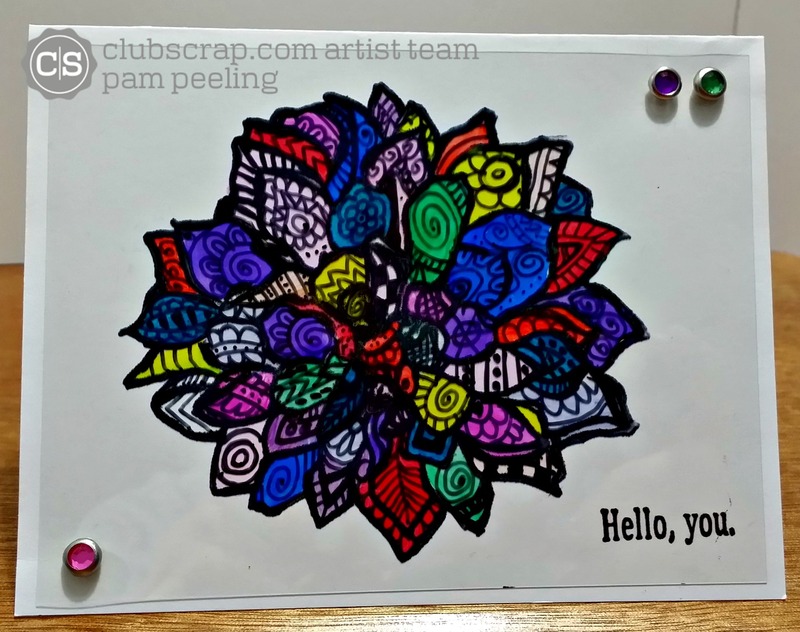 The April Technique Challenge at Club Scrap is creating a stained glass look. Here's my take on it. The April Club Scrap kit -Dahlia has a beautiful large flower stamp that was perfect for this challenge! I started by stamping it on acetate with black Stazon ink. Then I drew inside the petals with a fine black sharpie marker. I just kind of doodled and zentangled my way through all the empty spaces. 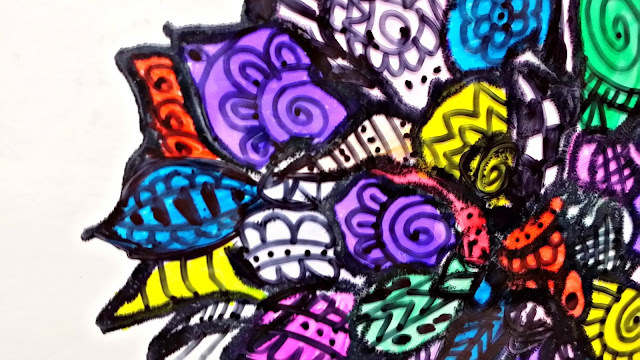 Then I flipped it over and colored in the petals with colored sharpie markers. I added a few blingy brads and a sentiment from the Dahlia kit. Make sure to check out the blog at Club Scrap for all the other creations and to add your own! WOW this is such a cool idea!! Love it Pam! 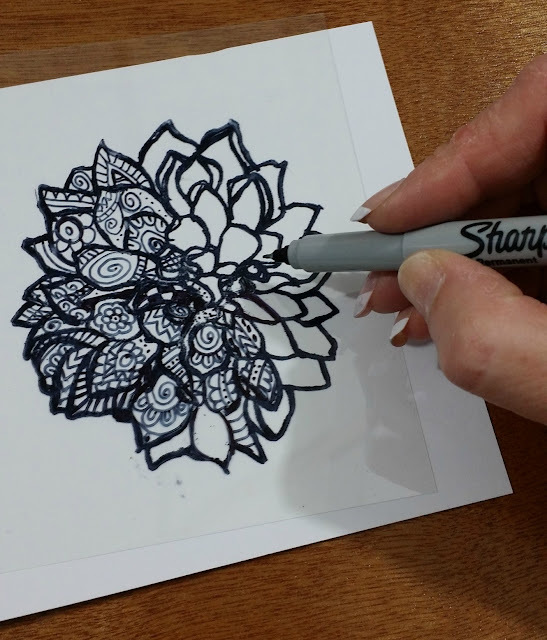 Love the idea of adding the zentangles to create even more detail. Great job! Nice addition of zentangling! The rich colors really add to the stained glass effect. Thanks for sharing! This is so awesome. Love the bright colors and the doodles!